I replaced the handmade wooden caps with exact duplicates using PVC trimboard. I routed each 3/4″ layer and glued them together using PVC cement. Prime each layer with acetone before glueing, and brush the routed edges with acetone to close the open PVC cells. I then glued the caps to the posts, and installed band molding beneath. No nails were used, only PVC glue and acetone primer. I duplicated the pickets using PVC trimboard, setting up a jig on my radial arm saw. The rails are 2″ x 4″ half round cedar rails like the originals. 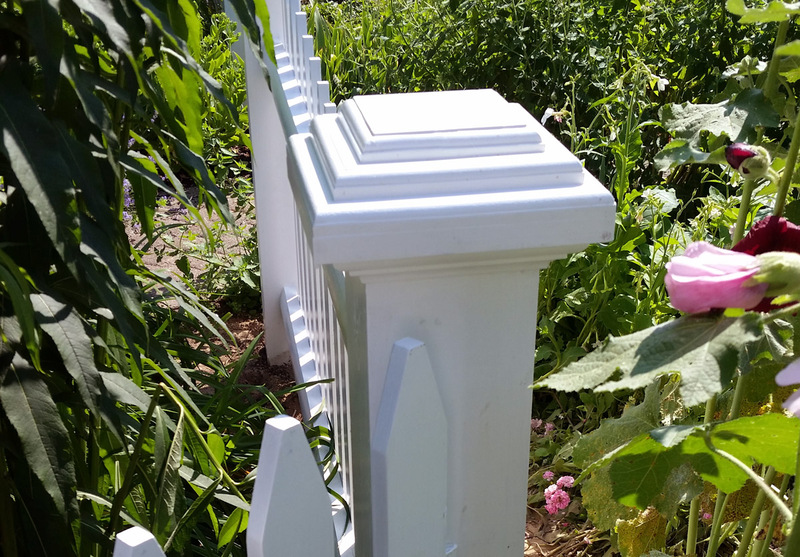 The first builder inserted the doweled ends into the solid post. On mine, I cut the angles to fit tightly to the finished post. All surfaces are painted with two coats of exterior semi-gloss paint. Records indicate that the house was built by Jacob Peabody I between 1685 when he reached the age of 21 and no later than 1689 when he died. The listing with the National Register of Historic Places estimates circa 1700, with structural indication of 17th Century construction. The 1985 MACRIS inventory with the Massachusetts Historical Commission written by Ann Grady gives a construction date of 1680 – 1700. Until the end of the 20th Century, this small house sat on a stone foundation that is well-preserved in the front of the present extended building. A substantial stone shelf in the rear may have been used for keeping dairy products cool. 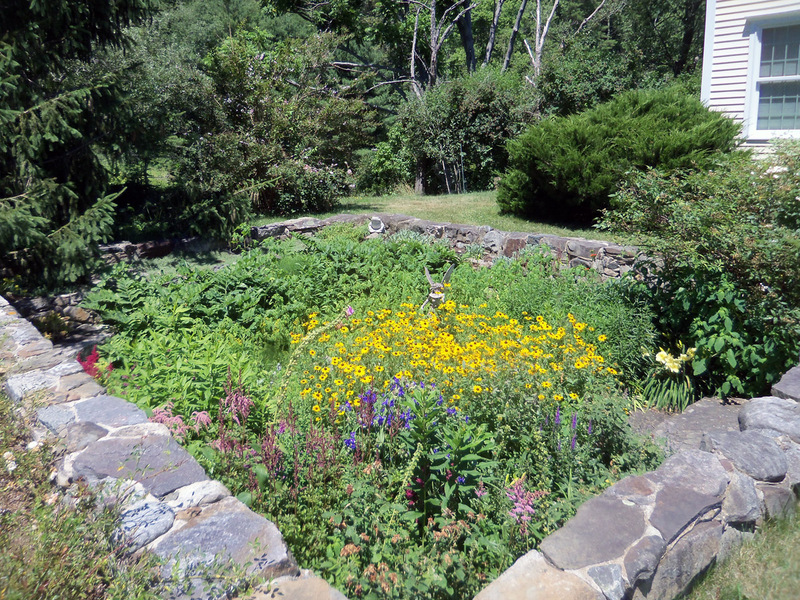 After the house was moved to its current location afew yards to the right, the present owners turned the old foundation into a wildflower garden. Although the old foundation has the dimensions of the preserved structure, cut-off purlins at the right end of the attic indicate that the house was once extended. A small addition on the right was removed when the current owners moved the house a few feet to make it part of their larger house on a modern concrete foundation. “The house is unusual in that it retains on the exterior the First Period single cell massing usually obscured by later additions. The retention of a branch on the rear plate to serve as a brace is an unusual example of vernacular carpentry practice. While related to the occasional use by First Period carpenters of ships’ knees to strengthen the frame, the branch brace represents the inventive solution of a single carpenter. A straight-run staircase has replaced the original chimney in the chimney bay at the right hand end. On the second floor, the summer tie beam is embellished with 1 3/4” flat chamfers and a stylized variant of the lamb’s tongue stop. Roof framing visible in the attic is comprised of principal rafters bridle jointed at the ridge, four large purlins per slope and a purlin at the ridge. The purlins, 5 l/2″-6″ wide and 3″ deep, are hewn, like the major framing members. The roof over the chimney bay was rebuilt probably at the time that the central chimney was removed in the late 19th century. 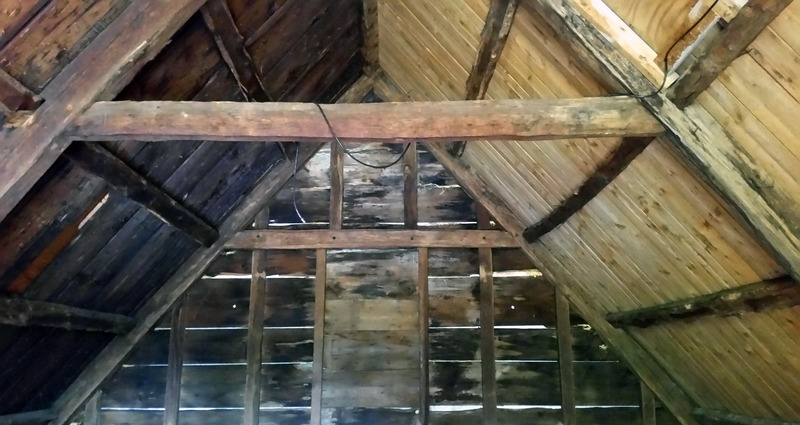 The cut off ends of the purlins which spanned the chimney bay remained trenched behind the rafters over the chimney beam. 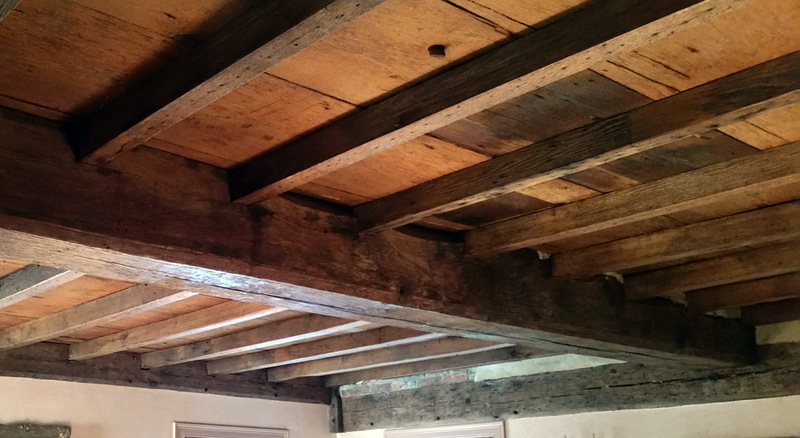 Matching faces on the undersides of the wide second floor floorboards are scribed with Roman numerals, sometimes partially hidden by the supporting floor joists. Deed of Jacob Peabody II transfer to Jacob Foster in 1717. In 1717 Jacob Peabody II transferred some of the property to Jacob Foster, who married Rebecca Peabody (1). Their Son Stephen married Rebecca Peabody (2). 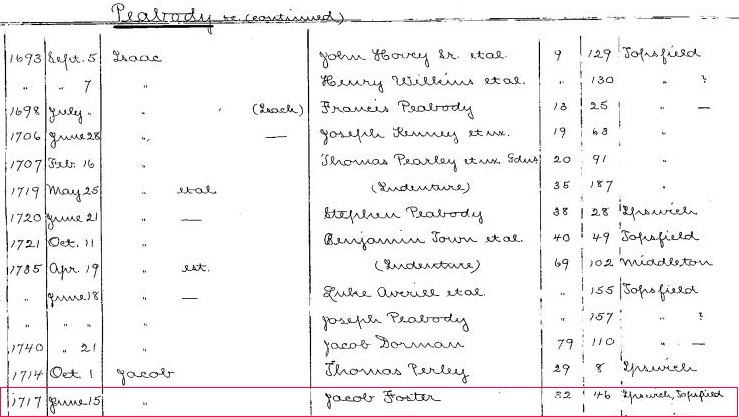 Jacob Peabody III “et all” transferred property to his sister Rebecca’s husband Stephen Foster in 1752. (image from Salem Deeds). Lieutenant Francis Francis Peabody formerly Pabodie Born about 19 Feb 1614 in St. Albans, Hertfordshire, England. Husband of Mary (Foster) Peabodymarried 1650 (to 19 Feb 1698) Father of Jacob Peabody IDied about 19 Feb 1698. By his will, dated Jan. 20, 1695, he gives his son Isaac Peabody his mills and mill-yard on Howlett Brook, and the dwelling house by the mill. Jacob Peabody 1, Born 28 Jul 1664 in Topsfield, Son of Francis (Pabodie). Died 24 Nov. 14, 1689. He married on Jan. 12, 1686, Abigail, daughter of Edmund and Mary (Browning) Towne, born Aug. 6, 1664. He died Nov. 24, 1689. His brother Isaac was joined with the widow in the administration of the estate. She maintained the children and paid their portions in due time. She married second, Jan. 14, 1696, Thomas Perley. Jacob Peabody II, Born November 9, 1689 in Topsfield, was the son of Jacob Peabody I and Abigail (Towne) Perley. Husband of Rebecca (Baker) Peabody, married April 30, 1711 in Topsfield. Father of Jacob Peabody III and Rebecca Peabody, who married Stephen Foster. Jacob Peabody II died July 24, 1740 in Topsfield. Dr. Jacob Peabody III, Born about February 18, 1712 in Topsfield. 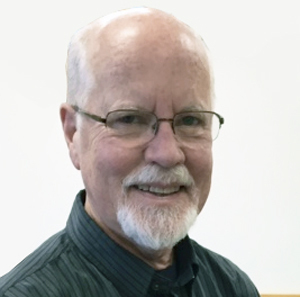 Son of Jacob Peabody II and Rebecca (Baker) Peabody. Husband of Susanna (Rogers) Peabody married about Feb. 18, 1734 in Massachusetts. Father of Nathaniel Peabody Died 1758 in Leominster, Worcester Massachusetts. It was apparently this Jacob Peabody III and others transferred the house to Stephen Foster, who had married Rebecca Peabody, daughter of Jacob Peabody II. Rebecca Peabody (2) (Jacob, Jacob, Mary (Foster) Peabody, Reginald Foster) married Stephen Foster of Ipswich on Apr 21, 1737. Rebecca Peabody, born 3 Feb. 1714/5, died 23 Mar 23, 1790. (Topsfield Vital Records). Deacon Stephen Foster, born February 3, 1715, in Topsfield. died January 7, 1781 at about 71 years of age. (Caleb,Abraham, Reginald), born Ipswich, Mass., Apr. 24, 1710; married Apr. 21. 1736/7, Rebecca Peabody, daughter of Deacon Jacob and Rebecca (Barker) Peabody. He died January 15, 1781. There is no settlement of his estate on record. Francis Pabody died in 1697/98. In his last will and testimony, he gave his mill and a dwelling house on the south side of Howlett Brook to his son Isaac. He gave the home of his son Jacob, deceased, to his grandson Jacob II, who was born only a few days before his father’s death in 1689. This suggests that the Jacob Peabody house was constructed by Jacob Peabody I between 1685 when he reached the age of 21 and no later than 1689 when he died. Item: I do give to my son Isaac Pebody all the land y’ I do now live upon which I bought] of Mr. Simons & my will is y’ my son Isaac shall have all y’ said Land which lyeth on [ye] south side of ye brook. Item: I do give to my Grand child Jacob Pebody y* son of my son Jacob Pebody deceased, y* house which his father dwelt in together with all y* upland on y* North side of y* aforesaid brook, as also all y* meadow on y* same side of y* brook & y* bridge & so upward. Towne provided no evidence for this claim, and I looked for signs of the foundation without success. 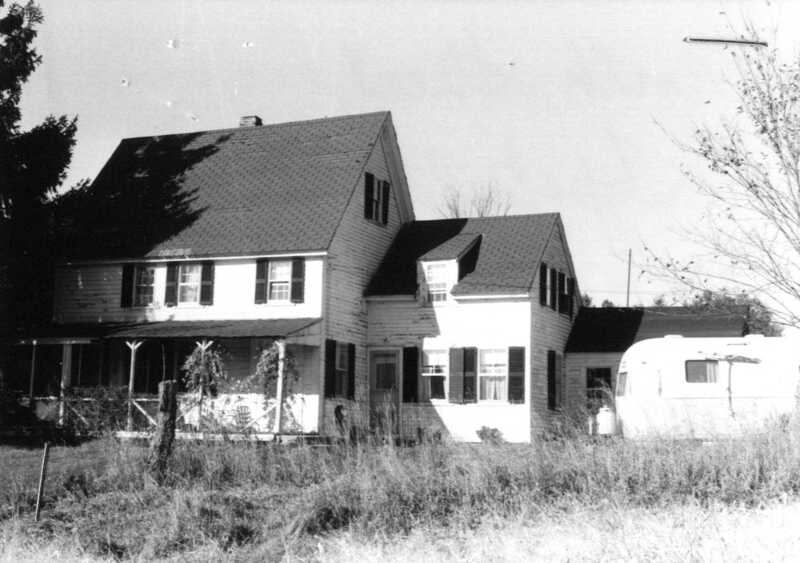 C. Lawrence bond repeated copied Town’s history in Houses and Buildings of Topsfield, Massachusetts,” (published 1989), and continued with the history of subsequent owners. Potter sold to Franklin Magraw in 1901, Bk.l660, pg.438. Magraw sold to Gerrish in 1902, and he to Mary Tarbox, Bk.1692, pg.226. Tarbox sold to Fred Deering in 1906. 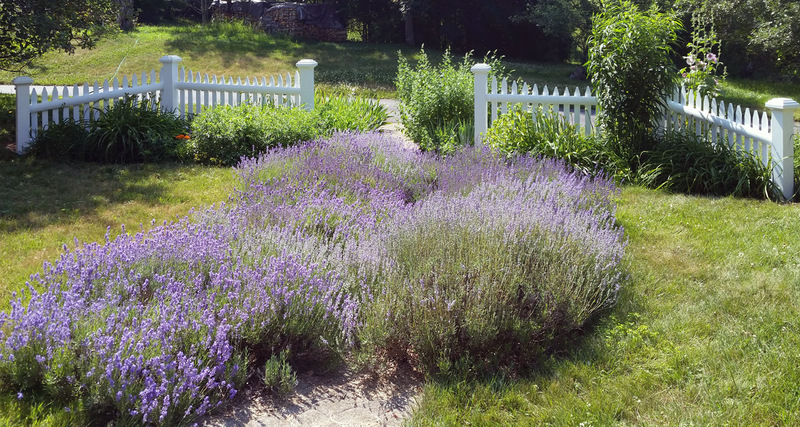 Fred Deering put the property in joint ownership with his wife, Della, who was the daughter of Francis Frame, and sister to the two Tilton wives, whose farms adjoined on Boston Street. Fred’s daughter, Lila, married James Wildes. In 1944 the Deerings conveyed the property to Louis Greenwood, dog trainer, who has occupied the house for forty years and maintained dog kennels there. The 1910 Topsfield map shows F. W. Deering as the owner of this home. 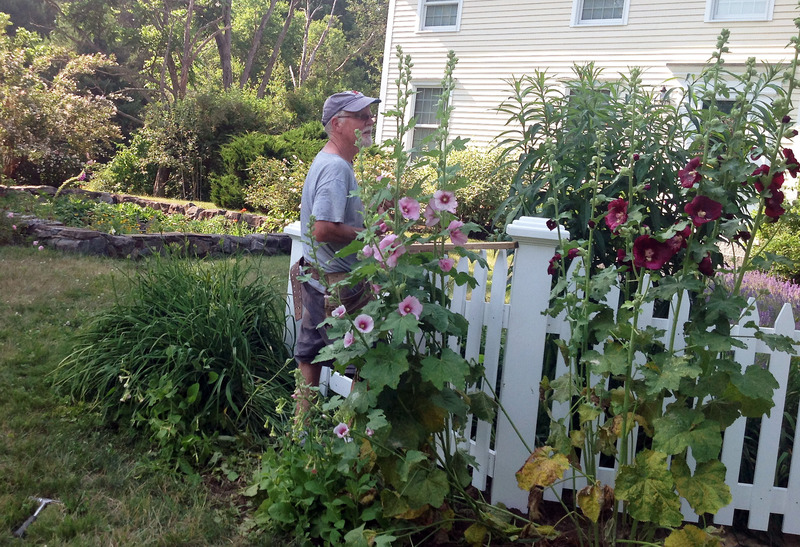 and Franklin MacGraw owning a house on North St. near Ipswich Road across from Mill Pond. Summer beam in the 1680 Jacob Peabody house. Although traditionally dated c. 1700, this First Period house has an oak frame of substantial dimensions, suggesting either an earlier construction date. The summer beam is embellished with 1 3/4″ flat chamfers and a lamb’s tongue stop. 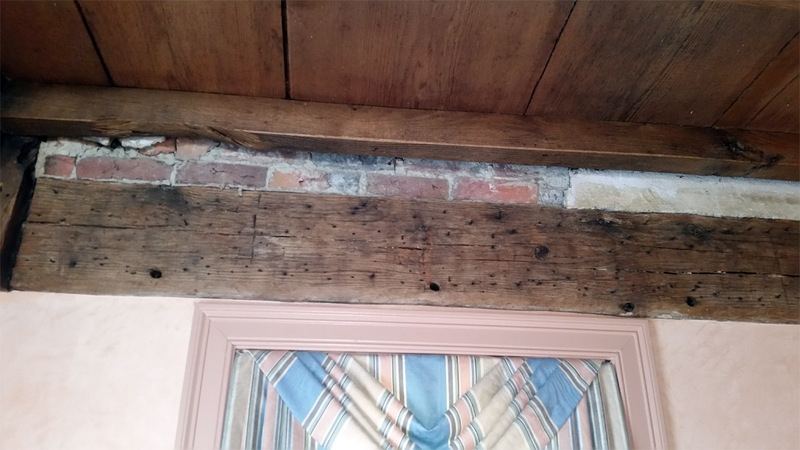 This unusual beam is exposed in the Jacob Peabody house, and was made from a large branch. Attic framing in the Jacob Peabody house. The framing and the roofing boards on the left side are original. A central chimney once extended through the right side of the roof, which has been replaced. Brick noggin over a beam in the Jacob Peabody house.